The application process was straightforward and efficient. 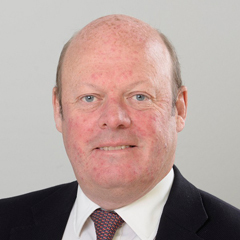 Andrew Hosty is the Chief Executive of the Royce Institute having previously worked for FTSE 250 Morgan Advanced Materials Plc, where he was Chief Operating Officer. A Fellow of the Royal Academy of Engineering and the Institute of Materials, Minerals and Mining, Andrew has more than 25 years’ experience of the commercial sector with main board experience of FTSE 250, SmallCap and private businesses and has worked at all stages of business growth and economic cycles. Andrew currently serves as a Non-Executive Director at Consort Medical Plc and at CEME SPa (an Investcorp private equity backed business).